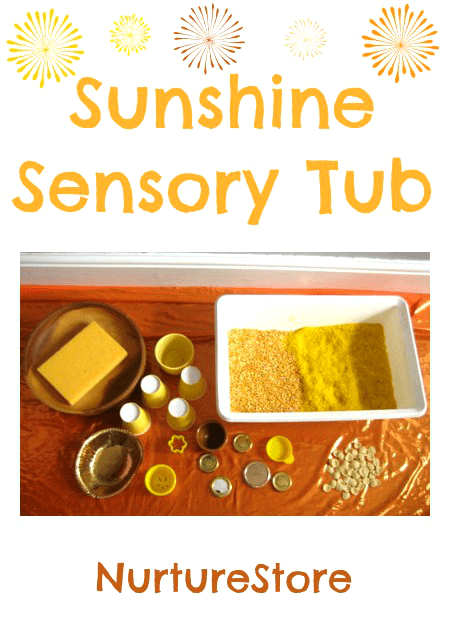 Today we’re enjoying some midsummer messy play with a sunshine sensory tub! 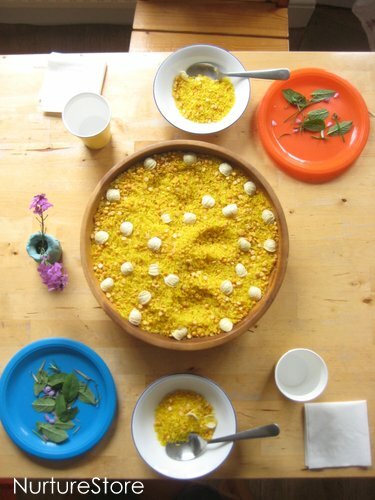 Messy play always brings a smile in our house, so we thought we’d add a little midsummer fun with a sensory tub full of sunshine colours. 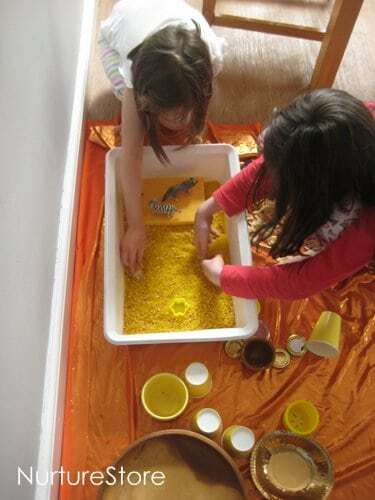 I often lay out a cloth or towel when we’re setting up a messy play area, as it seems to work well to concentrate the mess in one area, and it makes clean up that much easier – just gather up the cloth and pour any stray materials back into the tub. 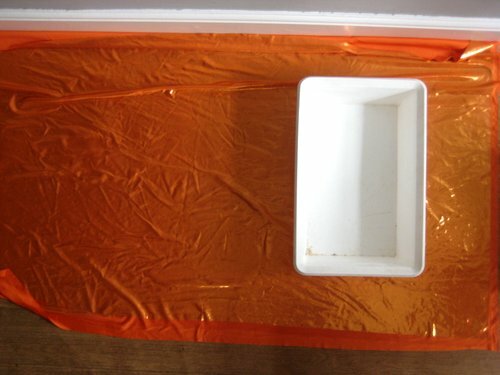 Today we used a gorgeous orange and gold piece of fabric. 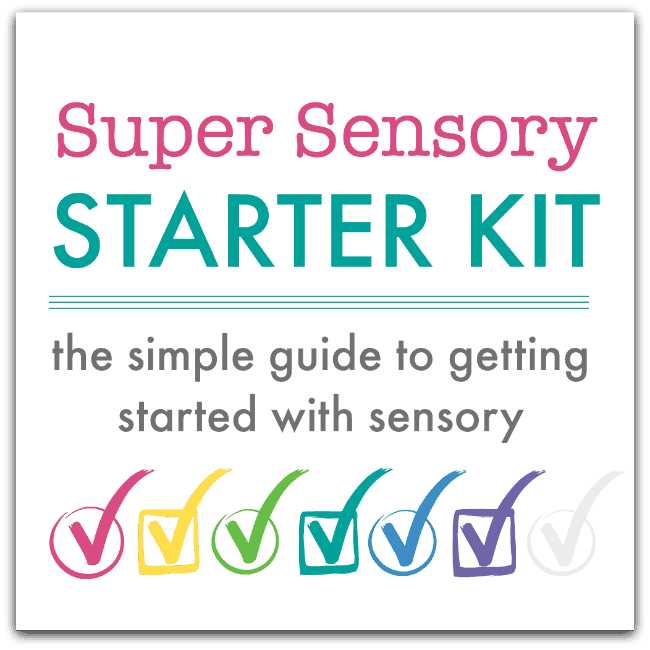 You don’t often need to buy in things especially for a sensory tub – just use what you have. We’ve talked recently about how important it is to have lots of loose parts available for children to use in their play, so today I just sent the kids off to hunt out anything sunshine coloured. They found tubs, cups, cookie cutters, bottle tops and lids, paper plates and a big sponge. 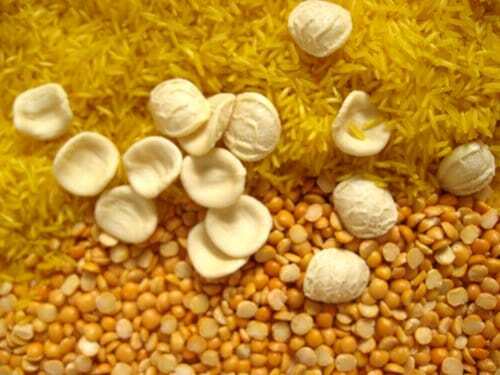 I filled the tub with lemon scented rice, yellow split peas and some oricchiette pasta (left over from our autumn play dough trees). 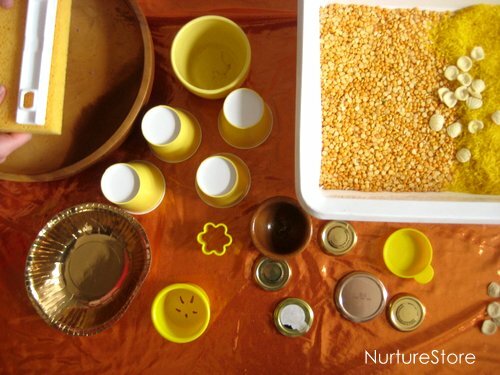 This gave a great combination of textures to the sensory play and as all the materials are dry and uncooked, we can store them away at the end of the playing and re-use them many times. You never know quite how the children will play with a sensory tub. 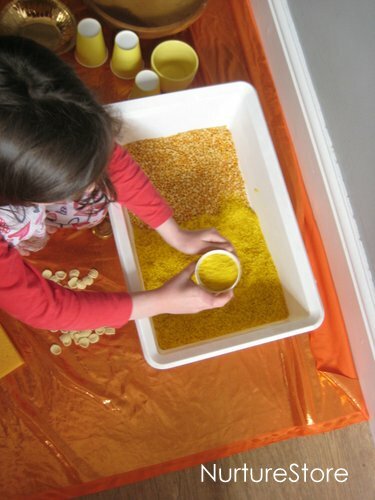 At first they often like to simply scoop and pour the materials, to enjoy the feel and sound of it. but today they were full of surprises, and set up ‘A Romantic Meal’ that my husband and I were invited to share! They put flowers on the table, picked some herb salad from the garden, set out napkins and even put on some music for us to listen to. I do love my funny, creative kids!